Ep 26: Ghosts Of The Forest Review!! Dawneebee reviews the opening night of Ghosts Of The Forest from front row! Join us for an intimate review of this very special side project that Trey Anastasio put together in honor of the passing of his best friend Chris Cottrell. Dr. Stephanie Jenkins, a Maine native who flew in for the show and is an assistant professor in the School of History, Philosophy, and Religion at Oregon State University, calls in and shares her thoughts on the show from an existentialist point of view. We’re part of the Osiris podcast network. Osiris is creating a community that connects people like you with podcasts and live experiences about artists and topics you love. To stay up to date on what we’re up to, visit our site and sign up for our newsletter. Osiris works in partnership with JamBase, which connects music fans with the music they love and empowers them to go see live music. Ep25- Phamily Feud~ 1 yr Anniversary Show! 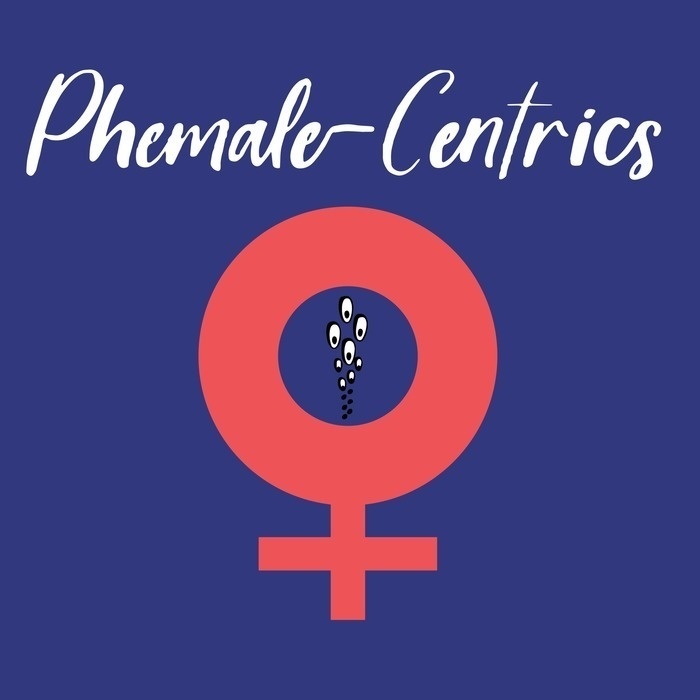 Join the whole crew for this hilarious episode of Phrmale-Centrics! We celebrate our 1 yr anniversary with the whole gang and some guest playing the Phamily Feud! Episode 24: Leo Areia- Graphic Artist & Phish fan Extraordinaire! Ep23 - Mexico Review w/ Tova Alize! Baker and Dawneebee review the Mexico Riveria shows with Tova Alize who ran the Mexico Phish Facebook group and attended the shows. Listen as Tova shares some of the on the scene stories and we talk discuss the shows! Dawneebee, Kristie and Snakey interview Phish.net's Scott Marks! Scott has been an integral part of the Phish community for years. He live Tweets during shows and provides set list on the go. Scott also is on the board of the Mockingbird Foundation, helping to raise money for children's music programs. After the interview, join us for our game show Market Price! Ep 21- MSG-NYE review w/Joey Wall! Join Dawneebee, Baker & Snakey while they interview the Phish fan sweetness All Star that is Joey Wall! before the interview, we play clips from the Osiris couch tour on 12/29. Here the story about when Trey And The Dude of Life "stalked" Jerry. Also, listen to Tom Marshall and The Dude's new song they wrote for Trey. During the interview, Joey share some stories and we review this past4 night NYE run at MSG. Afterwards we play a wild game of our Phishy game show, Market Price! Join Dawneebee, Jillian & Jason as we interview our BFF Jonathan Maloon. Learn about the origin of the ocelot and lots of fun stories of our adventures throughout the 25 years of friendship and love! Of course Market Price, everyone’s favorite Phish game show, to follow! Julie Parker joins Dawneebee, Baker & Snakey for a hilarious conversation and a Vegas review! Before Snakey and Dawnee talk about their rock star/groupie weekend w/Strange Design, Carl Gerhard & Tom Marshall and Dawnee singing with Benny St. Clair opening up for Pink Talking Fish. Our Phishy game show Market Price to follow! Dawneebee interviews Jay Blakesberg who is one of the music industry’s most sought-after rock photographers, known for capturing the explosive energy of the live music experience, as well as the intimate moments that happen offstage. He photographed Phish since 93' and the Grateful Dead for over 30 years! His work has been published in preeminent books and magazines – including Rolling Stone, Guitar Player, Vanity Fair, Esquire and Relix among others. Join Dawneebee, Jill and Jason as they chat about this Fall Phish tour and some other fun stuff! Ryan Callisto calls in and tell a great story about the Dark Side of the Moon show in November of 98' and then joins Dawnee and Jill I a game of Market Price.